Feeling bummed because all your friends went on Jam Cruise, and you’re stuck at home? Us too, but this Jam Cruise Post Party should cheer you up because we have your free tickets! 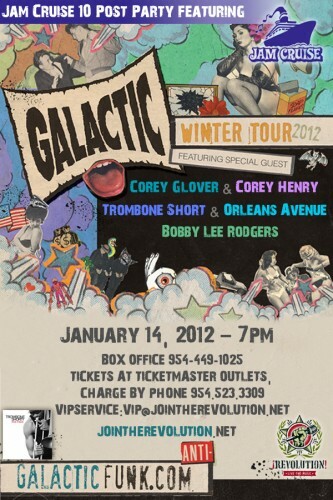 PEACE LOVE AND MUSIC = Galactic!